The Strategic 360 Feedback Forum is a biannual gathering of professionals focused on best practices in 360 Feedback via structured peer-to-peer learning. Member companies value 360 Feedback as a strategic lever, using 360 data to assess, develop, and align leadership talent to achieve business strategy. 3D Group has been the event organizer since 2015. Participating organizations take turns hosting the event at their corporate headquarters. 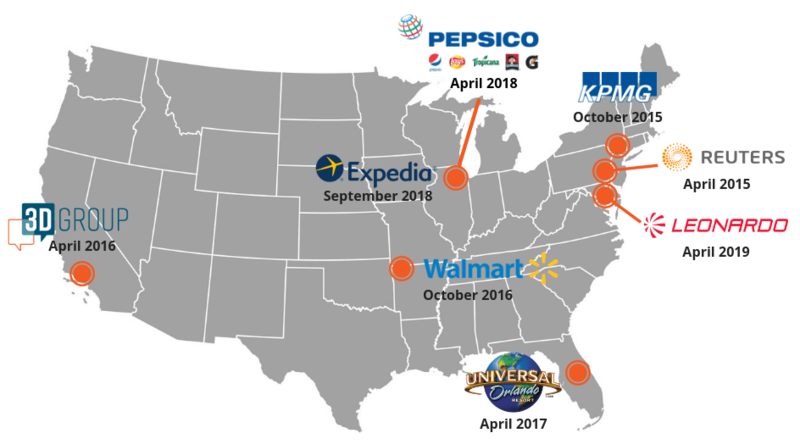 Recent Forums have been hosted by Expedia, PepsiCo, Universal Orlando, Walmart, KPMG, and Reuters. At a typical meeting, several companies present their current 360 process, highlighting innovations and strategic uses. Presenters pose questions to the group and put forward ideas on how to evolve their process to meet their goals. Colleagues challenge each other, provide alternative views, and explore the pros and cons of various approaches. Strategic 360 Forum events are complimentary and open to professionals implementing 360 Feedback within their organizations.